We were lucky enough to spend some time with Qualcomm's upcoming Toq smartwatch this afternoon, and I left impressed. The Toq's primary value comes in the form of a Mirasol display. Mirasol was demoed in "production ready" form in 2011 at CES by Qualcomm, but the actual products never came. If you're not familiar, Mirasol is a full-color e-ink style display without e-ink's terrible refresh latency. As its name suggests, Mirasol displays actually get better in sunlight, as they refract incoming ambient light to make the display more vivid. 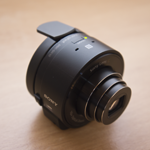 Sony's QX attachable lens cameras are among the oddest new products we've seen in a while. They are full cameras inside a lens body, can attach to your smartphone, and capture photos with Sony's Play Memories app. The company announced two variants of the QX during their pre-IFA press conference – the QX10 and its higher-end counterpart the QX100. Over the past couple of days, I've had the chance to live with the QX10, so I thought it may be helpful to share some initial impressions on the device and how it works. 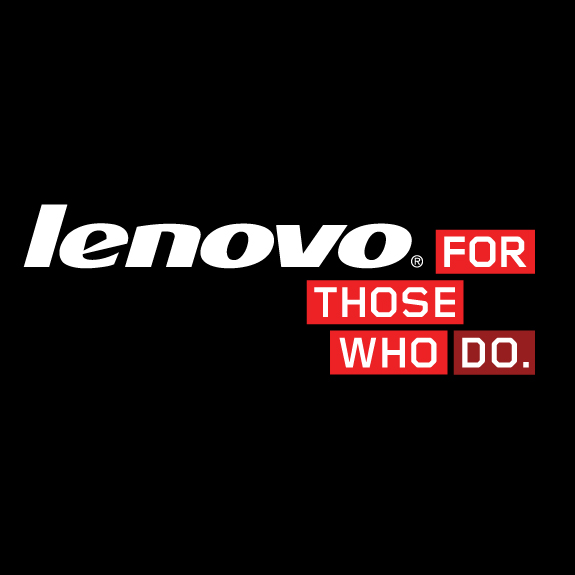 If you've been waiting on new mobile hardware from Lenovo to hit the scene, well ... you might be the only one. And if that's the case, then this post is just for you. Feel special. At IFA in Berlin today, Lenovo has taken the wraps off a couple of new devices: the Vibe X smartphone and S5000 tablet. While we're only likely to see the latter here in the states, let's take a quick look at the former to kick things off – it doesn't seem to be half bad. 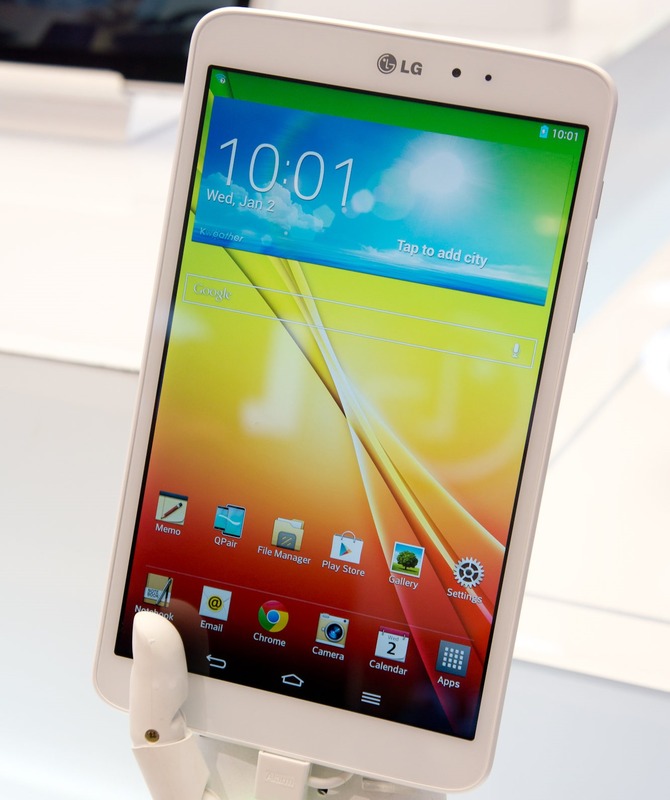 We're back with another hands-on here at IFA in Berlin, this time LG's upcoming G Pad 8.3. This is LG's first tablet since the somewhat-disastrous G Slate, and it's a far more conservative approach to the tablet model. LG's pretty much stuffing the old Optimus G Pro's guts inside an 8.3" tablet's body, albeit with the G2's newer software. 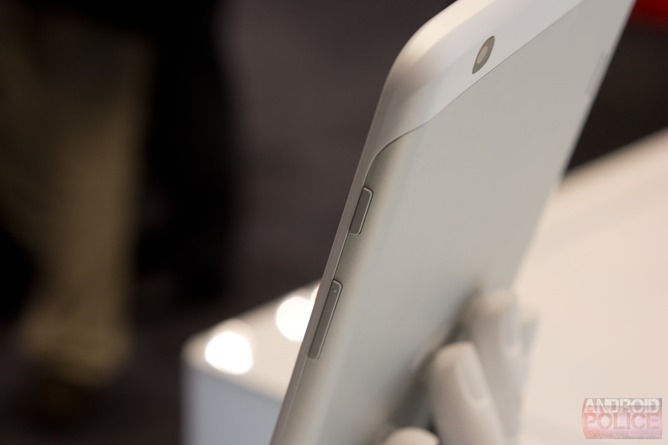 The G Pad 8.3 has a Snapdragon 600 processor, 2GB of RAM, an 8.3" 1920x1200 display, 16GB of internal storage, front and rear cameras, a 4600mAh battery, and a microSD card slot. 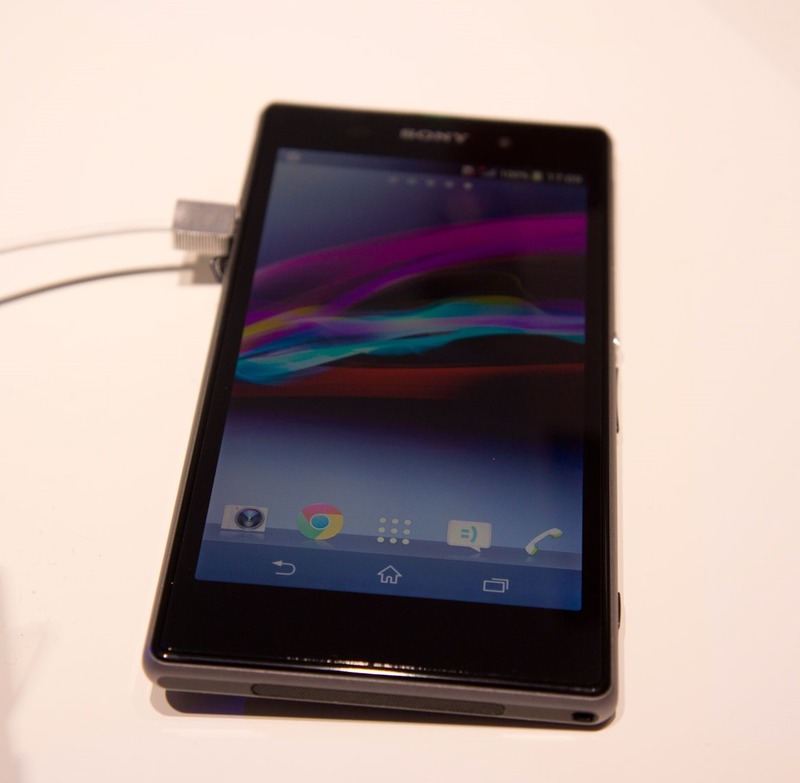 Sony's oft-leaked Xperia Z1 finally made its official debut at IFA in Berlin yesterday, and I had a chance to take a few minutes and look at the company's latest smartphone creation. The Z1 has opted to keep the same basic dimensions of the Xperia Z with its 5" 1080p LCD, enclosed in an aluminum chassis sandwiched between two glass plates. As such, holding the Z1 is very reminiscent of the Z - lots of glass, and an extremely solid, premium feel. If you've been deliriously excited ever since Samsung announced the Galaxy Note 3 earlier today, there's something you should see. The Korean phone maker has posted a new video, and it's jam-packed with six minutes and thirty seconds of Note 3 and S Pen action. 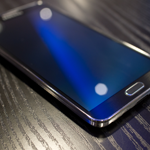 The video shows off all the S Pen features introduced with the Note 3 today. We get to see a few more use cases for features like Action Memo, Multi Window, and Scrapbooker. 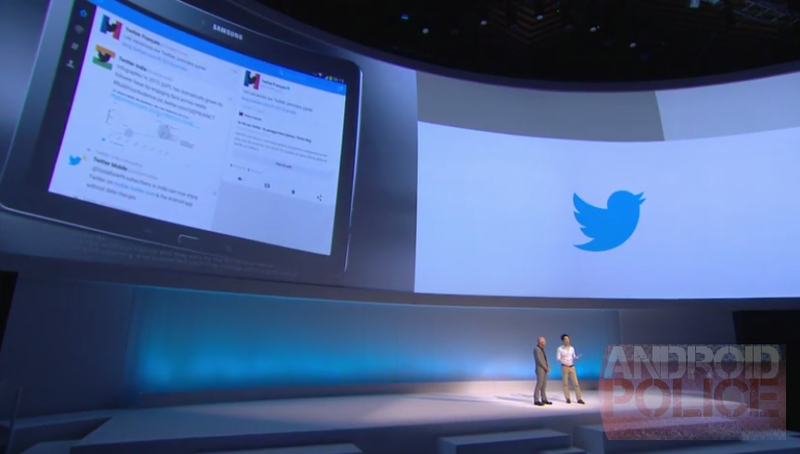 Did Samsung Out The Tablet-Optimized Official Twitter App During Unpacked? Hold on to your hats, boys and girls – things are about to get real. 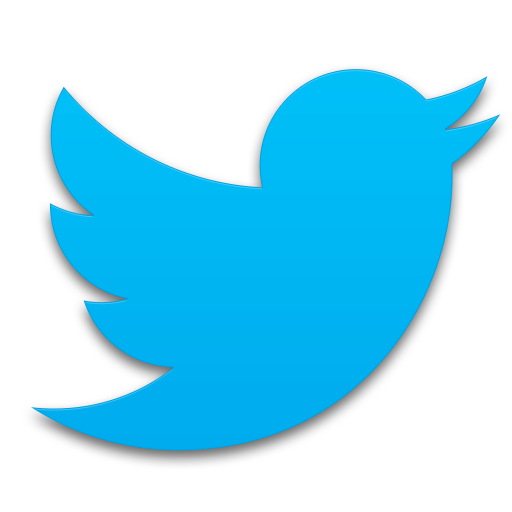 Since the dawn of time, we've been asking – nay, demanding – an official Twitter app with tablet optimizations. Just when we thought our pleas were going unheard, Samsung unintentionally showed us what's up during its Unpacked event today at IFA. During the event, they even referred to it as "the redesigned Twitter app" while discussing all the nifty things Samsung has packed into the Note 10.1 2014 Edition. 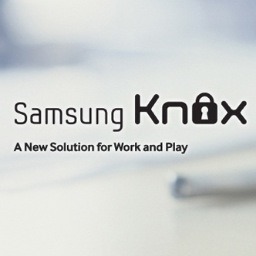 Samsung KNOX separates data and apps into containers, making it difficult for malware or intruders to gain access or cause damage where they aren't wanted, and it is integrated to a device's hardware and each individual level of the Android framework, making it a full-coverage solution. The software has been available to enterprises for some time now, alleviating concerns that Android isn't secure enough to protect corporate data and communications. The Galaxy Gear has been leaked, rumored, and talked about for months now, and it's finally here. Well, it exists and we've seen it, anyway. We got some quick hands-on time with Samsung's don't-call-it-a-watch smart watch, and have plenty to say. First off, Samsung was very clear during our hands-on time that the Gear shouldn't be thought of as a watch. 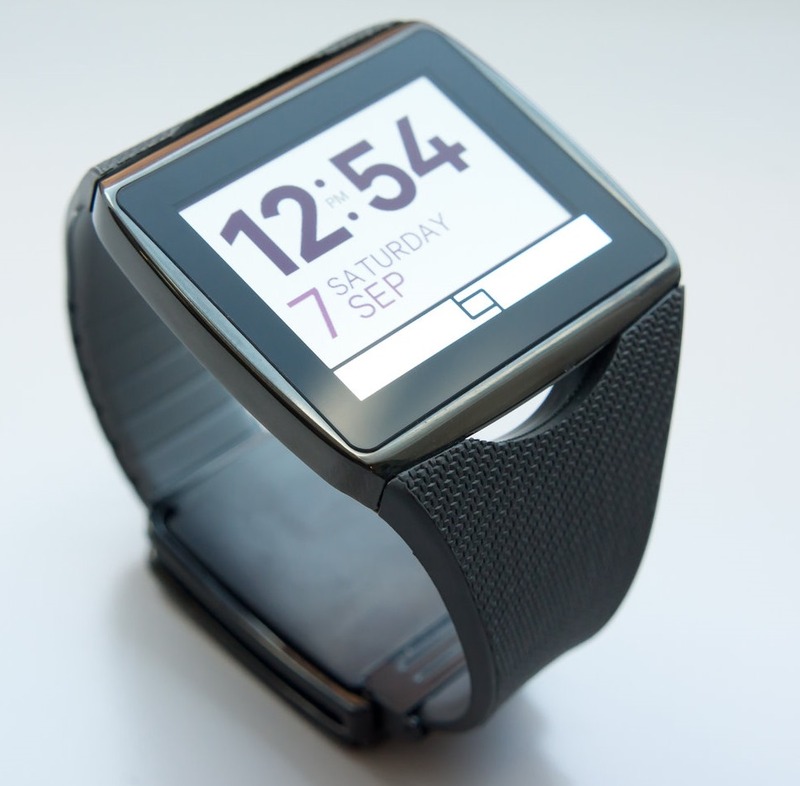 The question of whether non-watch-wearers will be willing to pick one up is moot to the manufacturer, as the experience and functionality provided by the watch should be enough to sway users toward adding the high-tech accessory to their wardrobe. 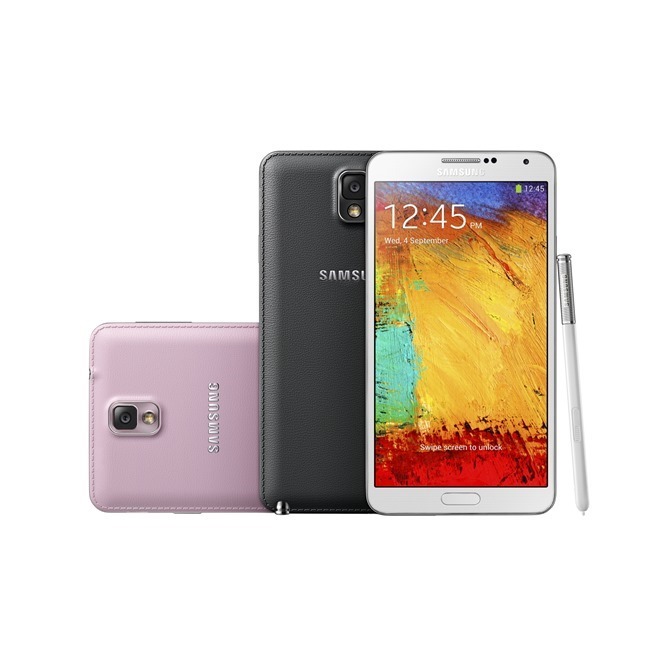 Besides taking a look at the Galaxy Gear here at IFA 2013, we also got the chance to play around with Samsung's new lineup of Note devices, namely the Note 3 and the Note 10.1 2014 edition. Ignoring for a moment the devices' form factors, they share a lot of similarities and, in fact, share just about everything software-wise. Samsung's main focus with the new devices, besides their refreshed specs, displays, and hardware design, is the S Pen, which itself has received a functionality upgrade.